CD IS OUT OF PRINT. AVAILABLE ONLY IN DIGITAL FORMATS! 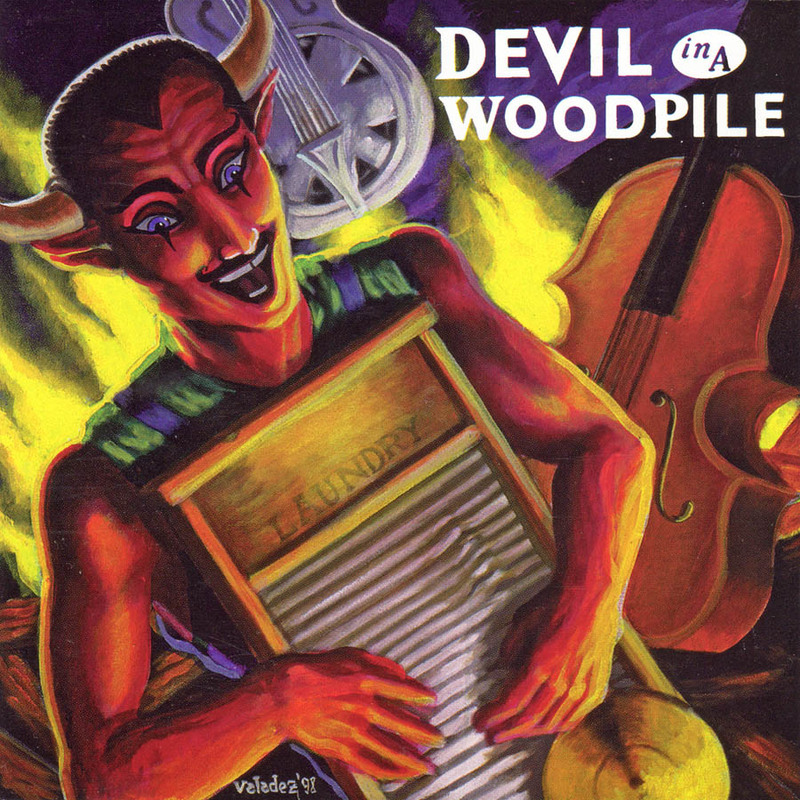 On their debut CD, Devil In A Woodpile cooks up a sound that transcends the notions of time or critical delineation. This is ur-music (man, I've been waitin' since I graduated from college to pull that reference out). It is blues, it is ragtime, it is country presented in its primal, pre-war--we're talkin' the one against the Kaiser, folks--acoustic glory. Music from a time when there weren't any genres, formats, or specialty sections in record stores. It is the music of back porches on hot summer nights, staring down a baking section of dirt road, and of getting crocked on the homemade stuff. It's all here. Recorded mostly live in the studio, on Division Street in Chicago's Humboldt Park neighborhood, Devil's self-titled debut captured the energy, joy and casual, hip-flask vibe they honed at the Hideout on Tuesday nights. The sources range from the known (Ray Charles "I Got A Woman", Sonny Boy Williamson "Whiskey Headed Blues," Bob Wills "Steel Guitar Rag") to the lesser known like Sonny Terry, Big Bill Broonzy, to the WAY unknown like Tampa Red ("Boogie Woogie Dance"), Washboard Sam ("Easy Ridin' Mama") and Blind Boy Fuller ("Stranger Here"). There's even a couple originals ("Can't Wait, "Cooker Man Chug") that would not be out of place on the strange and wonderful juke box in the parallel universe the boys in Devil hang out in. This disc lovingly recreates the sounds of the birth of virtually all roots music in America--stuff pilfered repeatedly down the years by just about everyone who claimed to have "invented" some sort of music. ...the perfect album if you plan to raise the dead or at least get the very tired to dance. This gutbucket of blues, country, ragtime, string band, and jug staggers and sways like an inebriated mule. With an arsenal of acoustic instruments, Devil has created a joyous romp that borrows material from many sources and boils it all down to a primitive, primal soup. It is so much fun, so utterly enjoyable, it disarms criticism. Strung together, the songs echo and scrape against one another to evoke a seamless roots-music dream that is at once ancient and completely outside of time. [It is a] dexterous and relentless attack of gospel, blues, pop, swamp music, and hillbilly music played with a nod, a wink, a snarl, a grin, or closed eyes as the situation demands.